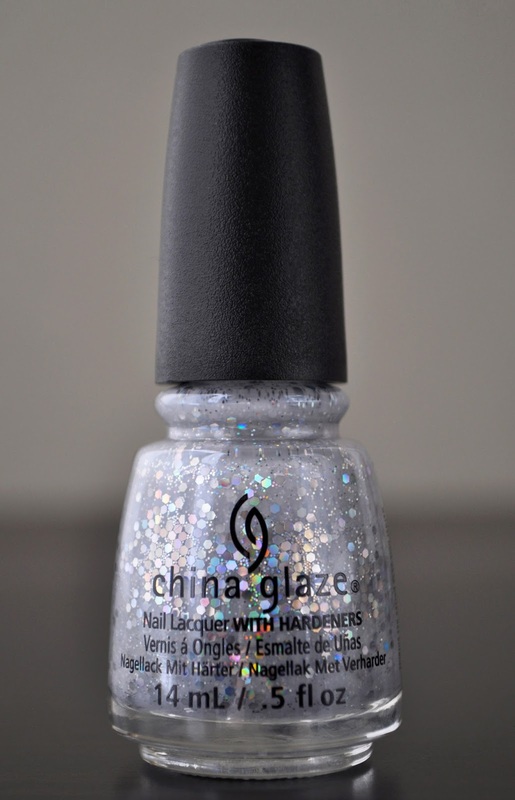 I got all 12 of the nail lacquers from China Glaze's Glam Finale Collection, and first up is: Don't Be A Snow-Flake (a name apropos for today's culture, I'd say). When I saw Don't Be A Snow-Flake, I was both intrigued and terrified by it. I was Intrigued by the concept of the polish, and the dazzling effect of all the holographic glitter. I was terrified because placement of glitter polishes isn't my forte, as well as knowing what a pain removing Don't Be A Snow-Flake was going to be. I was unable to capture the beautiful sparkle of the holographic glitter. A slightly bluish-light gray crelly, with small and large hex silver holographic glitter, the formula is extremely sheer on the first coat (great if you want to use it as a topper), with a fairly decent consistency. However, the more layers I added, the thicker the formula began to feel. Also, maneuvering the glitters with the brush is key to ensure even, clump-free distribution. Don't Be A Snow-Flake does dry textured and requires one to two top coats. Completely opaque in four coats, Don't Be A Snow-Flake rested a little too thick on my nails for my liking. However, I was able to overlook this minor flaw because the multi-colored, glimmering holographics reminded me of the embossed glitter on some Christmas cards...and I'm feeling nostalgic this year.